Suggested itinerary is a general guide for tourists to Russia. This design is related to time management used by tourists. Thus, the tourists have to arrange themselves in such a way to be efficient in accordance with the wishes and interests. Sometimes a visit to an object only needs a short time due to less attractive, while in other places it can be extended as appropriate areas of interest. Where possible, half a year before departure already bought a ticket. With careful planning, is expected to have the opportunity to choose the most appropriate to the ticket contents of the bag and travel schedule. Once you have a ticket, travelers should immediately get an invitation which can be obtained from existing hotels in the destination city. Preferably, two or one month prior to the departure had a visa to the Russian embassy. When you have a friend or colleague in Russia, please do not hesitate to contact from long ago to book the train tickets or the show. To an afternoon or evening departure, it depends on the flight schedule. You have to do a complete examination of all such money, passports, and other important documents. completeness must be stored properly and are not allowed to easily be stolen or taken by the bad guys. Coming up at the airport at least 1.5 hours prior to departure. It is better to arrive early than late. By arriving early, at least, can select a preferred seat. If you want more relief, choose seats on emergency exit so no long tiring journey.Bring a laptop can be useful when having to transit. Most international airports have been equipped with wifi. Travelers will arrive at Domodedovo International Airport, outside of Moscow. Activity to be done on the day it was to the hotel by train, check in at the hotel and quickly get to know the environment. At night, do a good orientation of the field by looking at a map or by walking to different parts of the city. This activity is expected to guide the activities to be carried out the next day. The next day, tourist activity has to be effective after the previous day already doing orientation. Since the morning was ready out of the hotel with sufficient supplies. Do not forget to bring your passport, metro maps, and city maps. The first exploration should be to Red Square and all contained within the building. For this activity, if complete, it could take almost half a day, but could be faster if four hours, highly dependent on the management of time and desire. Metro stations to be visited to taste. This is an underground museum that is when the best in the world could not be enjoyed, there must be something lacking in a visit to Moscow. Select only some of the coolest station when not able to enjoy all. 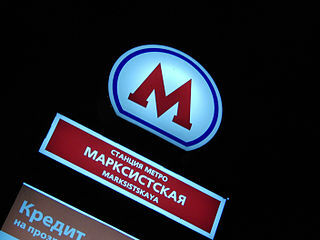 Alternatively, a visit to the metro station carried a packet in transit from one place to another. Most travel plans using the metro in Moscow. Not complete if not go to the Old Arbat which is the business center of Moscow. Walking while bargain souvenirs here could spend 3 hours, depending on the spending appetite and budget. But not too much to buy in Old Arbat because it is quite expensive, it is better to Market Ismailova when there is free time. The first day should be enough coupled with one target only, Like Cathedral White or often called Khram Krista Spasitelya. Relax here while enjoying the aerial view of the Moscow River Moscow with very boring. Afternoon at this place is very comfortable and plenty of pictures object that can be taken. The next day should be used for that bit further, the visit to the Market Ismailova. Here the tourists can buy various souvenirs with a very skewed. Do not hesitate to bid up to half. In general merchant here can speak English, or if not, you can bid using the calculator. A visit to Old Arbat previously to provide an overview of a particular item at a special price in the city. Given the relatively far distance, learn metro maps well and it is not advisable to use public buses or vehicles on the highway because it will experience severe congestion. Another activity was a visit to the city park, including Tsaritsino and Leninsky Gory. Despite the long distance, when surely know that the metro will be used, the time can be very efficient. In the afternoon, you are advised to be able to enjoy ballet at Theatre Balshoi very beautiful and charming. Of course do not forget that making a reservation well in advance of the visit. When you have contacts in Moscow, either the student or others, would be very helpful. Ticket prices are very dependent on which side you are going to watch and can be asked directly at the ticket window in many places. The last day in Moscow should be used to look at various museums plus a visit to the Bridge of Love. Depending travelers, if happy visit to the museum, while a little time, select one of the museums are preferred.The rest of the day can be used to wrap up the journey, ie along the Moscow River by boat. In the afternoon, travelers have been to the station to head to St. Petersburg. Of course, all the items have been prepared before going sightseeing on the last day. do not risk not giving the rest of the time. Moscow sometimes unpredictable in terms of congestion of vehicles that require sufficient time reserve. Once arrived at St. Petersburg should already know the purpose and direction of the vehicle that will be used toward the inn. The first day in the city’s west end Russia, tourists can start with a visit to the Hermitage Museum continued to Peterhof Palace. Two of these attractions are usually undertaken for most of the day. Imagine, if any works in the Hermitage Museum was observed for two minutes, travelers take more than one year. While the beauty of the Palace Peterhof be enjoyed on the outside with an incredible landscape in the form of a blend of hills, forests, and oceans. Although these two objects can be enjoyed well into the afternoon, tourists can go directly to the Nevsky Prospect traveled to a city in the middle of the crowd that will never stop. The second day at St. Petersburg can be used to reach the mandatory attractions outside of the city, namely Tsarkoe Selo which is about 26 miles from St. Petersburg. A visit to this place should be done in the morning because the line is like a coiled snake. If it’s too late, to go in, it took more than an hour. After midday tourists can go to the Blue Mosque which has a long history. Due to a considerable distance, time management is needed. Do not be too long here because they have to immediately proceed to the Peter and Paul Fortress which is just a ten minute walk away. This is guaranteed by the three objects then the time can be spent there. If it is still possible, the chance that there needs to be used for a boat ride down the river Neva. The main object next visited only around Nevsky Prospect, such as Bloody Church, Monument St. Petersburg, Isakievsky Church, as well as providing a variety of souvenir shops. Shopping on the last day of this should be used as possible so as not to miss the plane. Preparation for the airport to fly to Moscow to be arranged. Understandably, the metro from the airport to the city is not direct. Keep using the metro station and so out of the last direct taxi. Do the regular checking at Domodedovo Airport two hours prior to flight departure. Do waiting luggage at Domodedovo from St. Petersburg are sometimes quite long, about 30 minutes. So make sure travelers are ready to check in at least 1.5 hours prior to departure. Passports and other documents, including currency exchange matters and the declaration must be well prepared. Do not let the baggage exceeds the limit. If it happens, the number of pounds that little can make an offer. However, sometimes a very strict examination. Better brought into the cabin so that goods entering the trunk remains within the maximum, but do not exceed the terms.